ENGLEWOOD, New Jersey (WABC) -- A whole community in New Jersey has come together to celebrate and honor a 10-year-old who's battling a malignant brain tumor. Talented third, fourth, and 5th grade artists created incredible pieces of art. 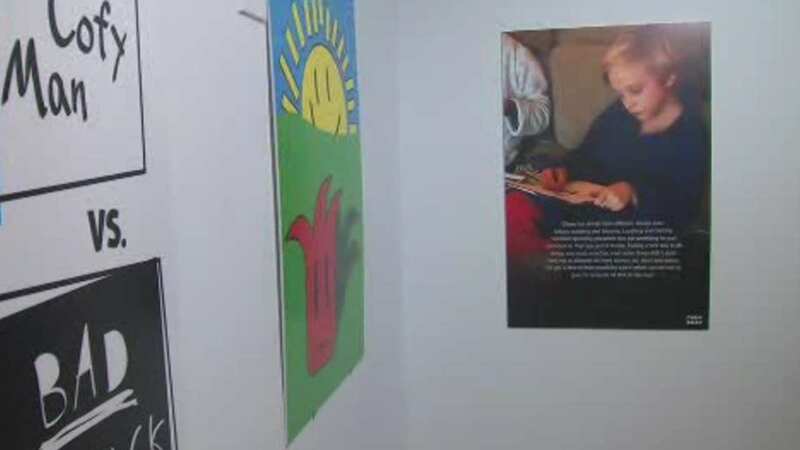 They're all now being shown at the "Chase Your Creativity" exhibit in Englewood. It's all in honor of Chase Balay, with all proceeds going towards the family to help support his brave fight. All pieces of art have been inspired by Balay. The exhibit is open through Sunday.